Well, here's a company pairing I didn't expect to see anytime soon. 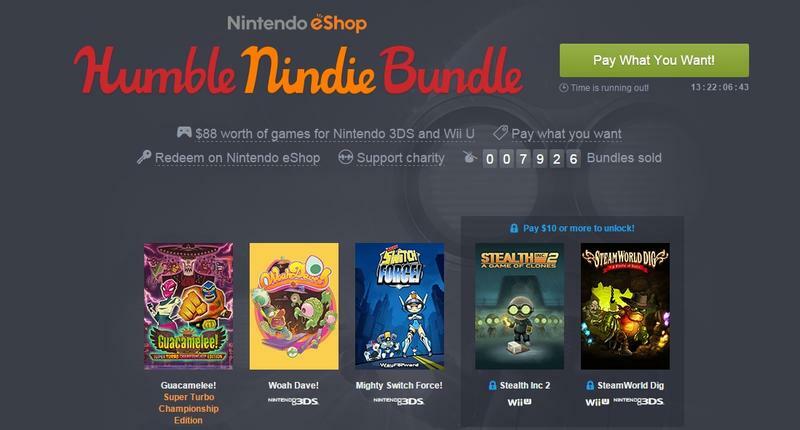 The Humble Bundle team has gone and cooked up a deal with none other than Nintendo to create the Humble Nindie Bundle. That's right, pay what you want (as long as it's more than a buck) for games playable on either the Wii U or Nintendo 3DS (or both) by way of the eShop. Sweet deal. The trailer above highlights the games, but here's a quick rundown. More games will be announced for that above average tier next Tuesday at 11am PT.